Bubbles | Liquids and bubbles which indicate the presence of gas do not have a particular place of belonging. It suggests the temporary nature of phase transition. 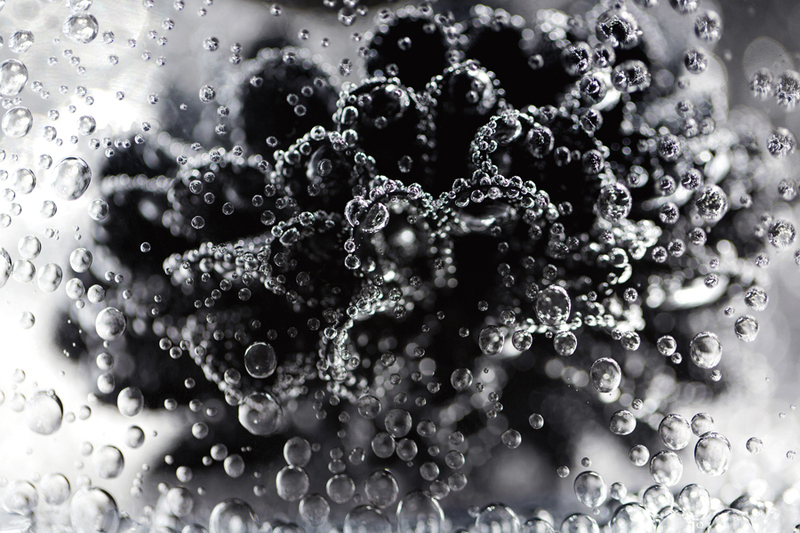 Bubbles are made up of gas and a membrane that gives it shape, and when that membrane bursts, it returns to nothing. All bubbles vanish at their final destination. Solids and liquids eventually fade away. There is nothing perpetual about their existence, and as they foretell us of their own fate, they give us a glimpse of both illusion and reality.